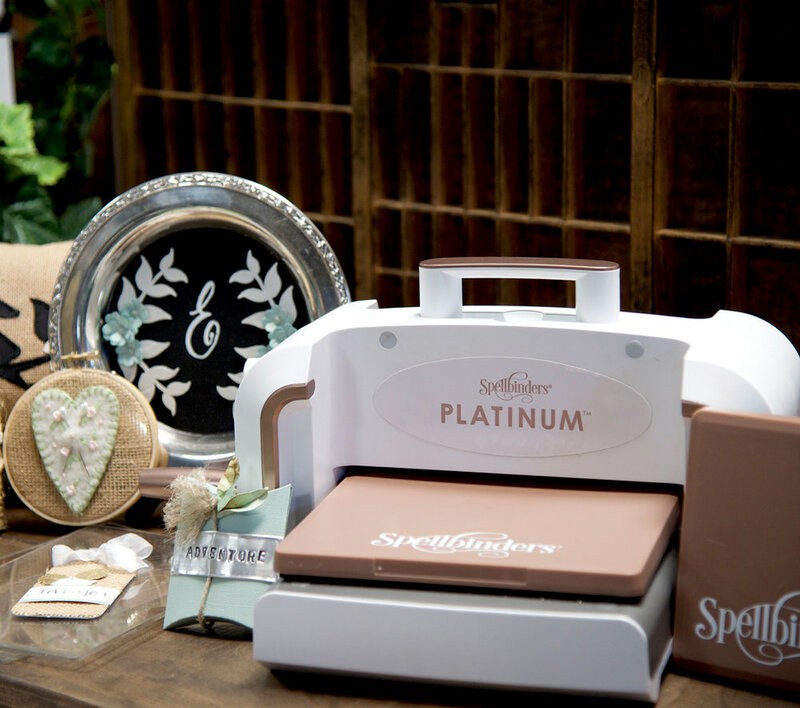 You’re going to feel the power and the possibilities with the Spellbinders Platinum Die Cutting and Embossing Machine! This machine packs a huge punch with its solid steel gears and you can expect it to last you for years and years to come. With its white and platinum color combination, we are sure it will look stunning in your craft room and with its unsurpassed power, strength and durability, you will find that this machine is a must-have for your creative projects. 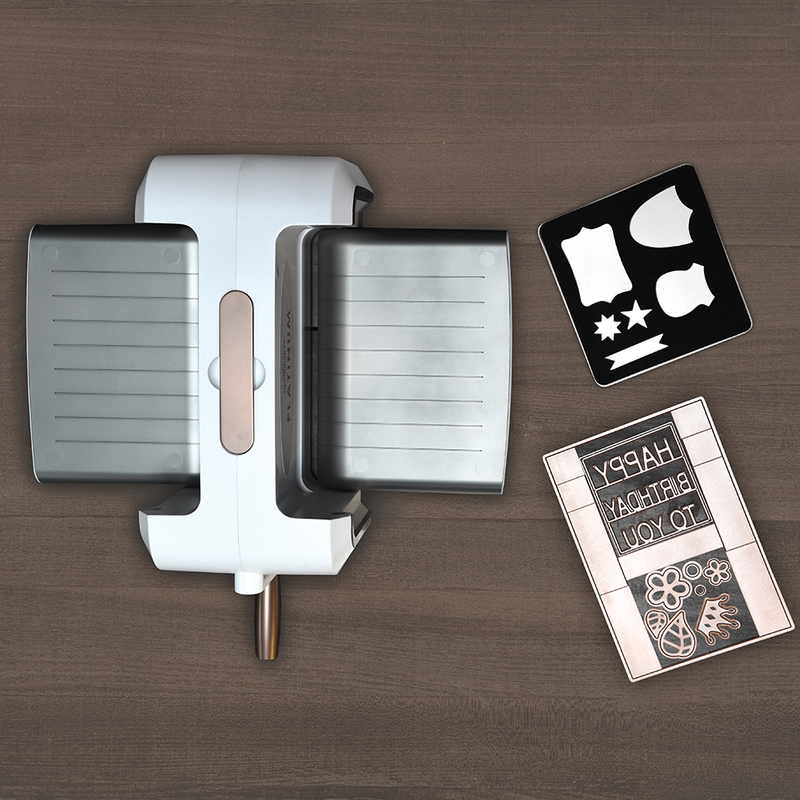 This innovative tool is easy to use, versatile and is compatible with all Spellbinders die templates and Em-bossing Fold’ers. 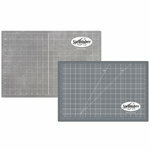 You can cut and/or emboss 8 1/2” wide with a simple turn of the handle giving you ample workspace for your creative needs! 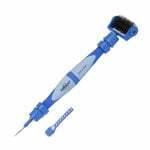 The Platinum features VersaCut technology that provides strength, durability and power. 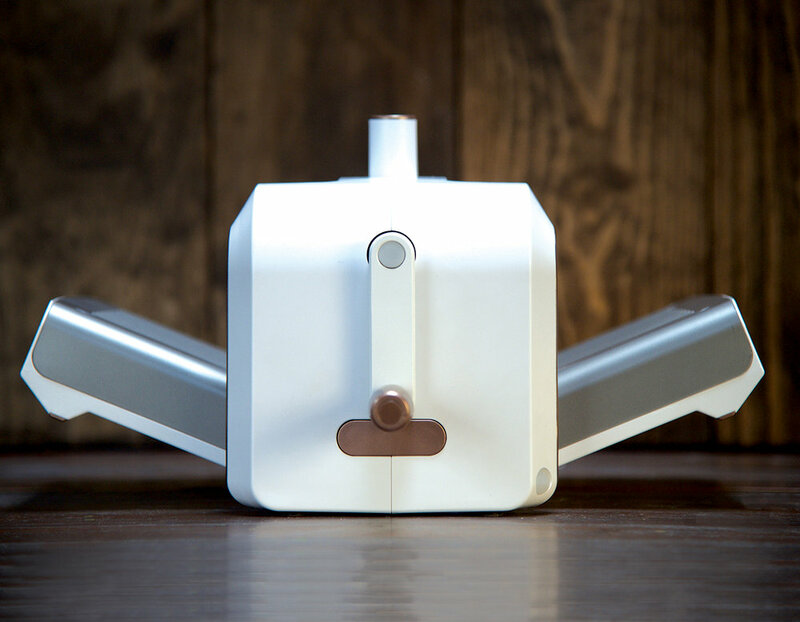 The solid steel core construction will cut up to 8 layers in a single pass and the sides of the machine fold up and the handle can be removed making on-the-go crafting and storage a cinch. 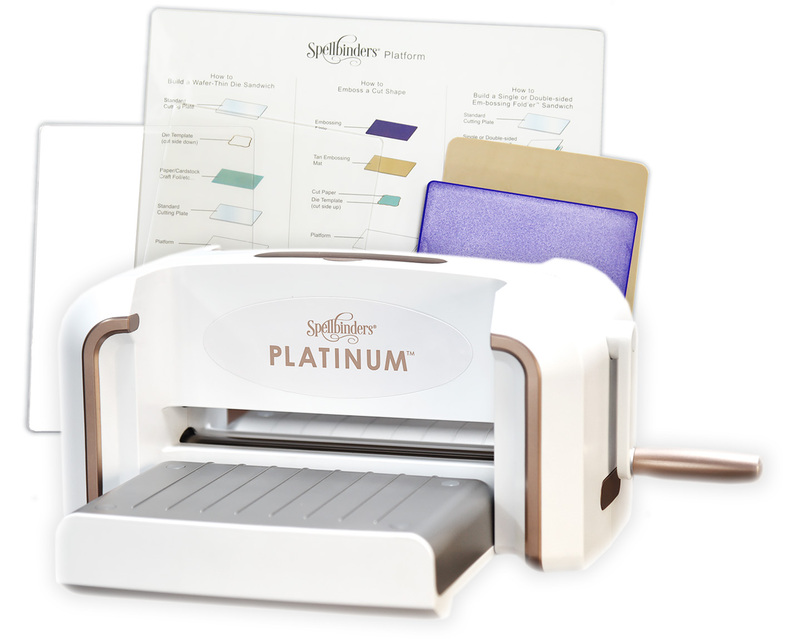 Warranty: The Spellbinders Platinum comes with a limited one year warranty. The machine is warranted to be free of defects in workmanship and materials. 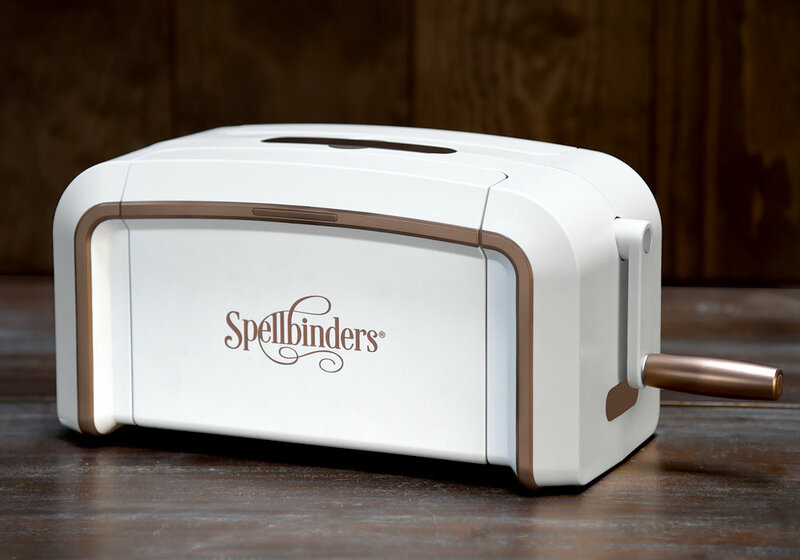 Spellbinders will repair or replace a defective product or parts without charge with proof of purchase. If the product is damaged due to misuse or neglect, the warranty is null and void. Register your warranty at SpellbindersCreativeArts.com/warranty. 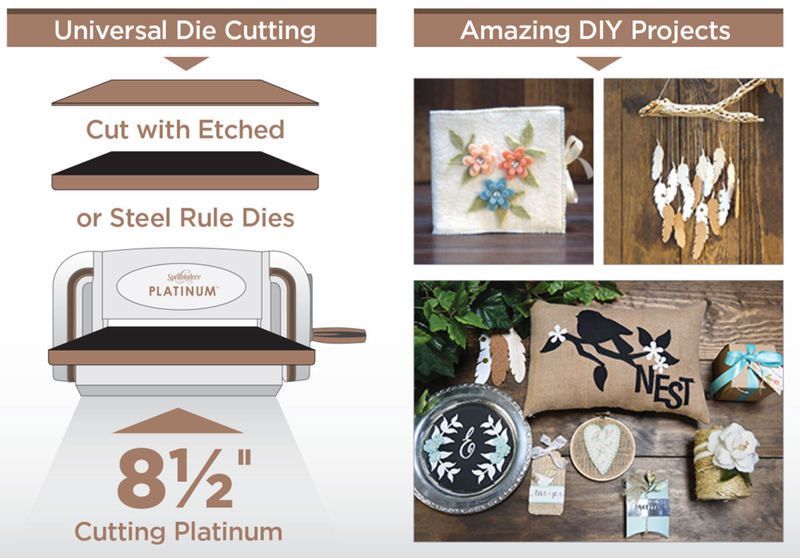 PLEASE NOTE: You can compare the Spellbinders Platinum Machine with other top-selling machines using our handy Die Cut Machine Comparison Chart. This machine is AMAZING!! Loving the fact that it has so much more space than my old die cut machine. Also loving that I can now purchase larger dies to die cut!! 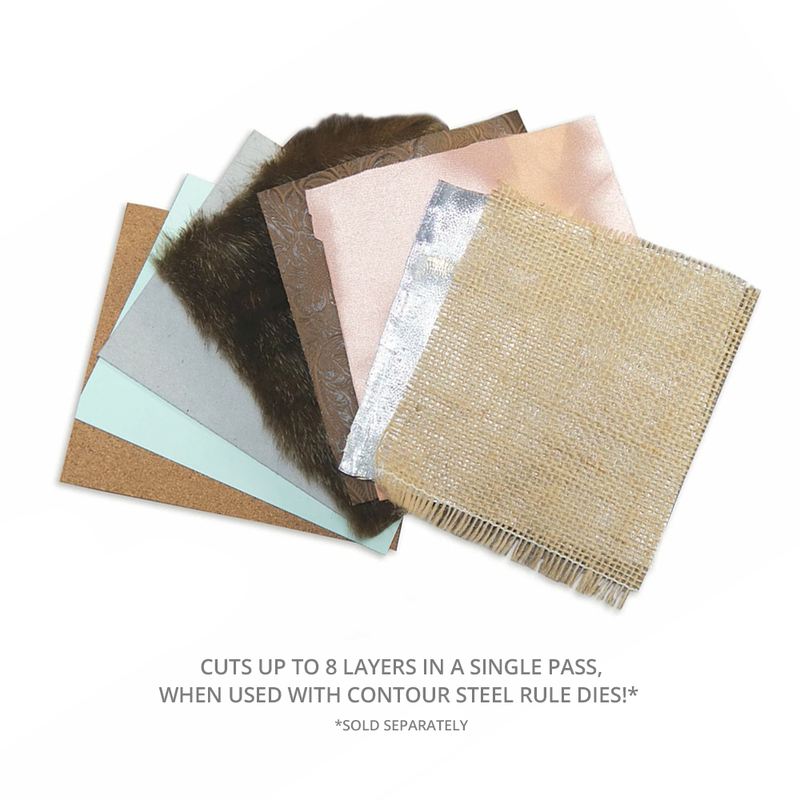 You can cut several layers which is a plus! 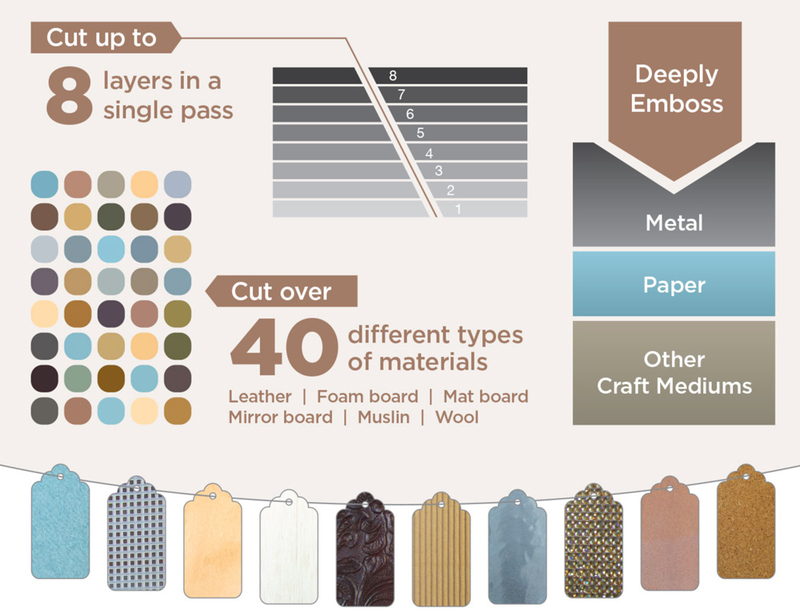 & You can also cut so many different types of material!! I am very happy with my purchase!! Love my new toy! I have the Grand Calibur and Cuttlebug... this one cuts better than either. 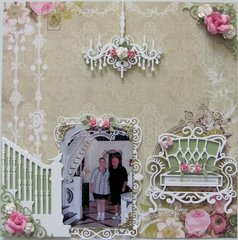 I have cut Sue Wilson dies consistentl on the first pass... in the GC it took at least two to get a clean cut! I figured out how to emboss the large embossing folders... a piece of standard cardboard is the perfect width. I do hope they come out with a mat that I can use instead of cardboard :) . My only other issue with this machine is that the cutting plates bow when you use non-spellbinders dies. I also hope they come out with a cutting plate that is made out of the same material as the GC... that thing never bowed! All in all, I am really loving this machine! I was not happy with this machine,but I thought it would be quite different from the others. I find it to be the same as the dizzies, cuttlebug and others. There is nothing wrong and it operates fine, but to me it was basically the same as the others. I expected it to be quite different and that it would have a WOW factor, but it did not. If you want a new machine that does the same OK..plus it is VERY VERY HEAVY. Returned the one I bought because I just did not meet my expectations. Received my Spellbinders Platinum late last week (02/24/16) and could hardly wait for the weekend to give this bad boy a go around! Even my sweet hubby wanted to watch while I gleefully ran my first die through it. WOW!!!! This is going to be so much fun!!!! It is hard to really review it though since this is my very first die cut machine. I would imagine one with a motor would be a little easier on the hands...but I'm still very pleased with it. Hope it lasts for a long time. Thank you Spellbinders!!!! Why did you change your plates? 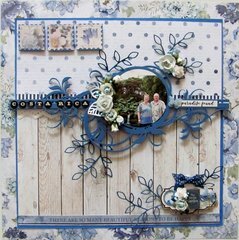 The new cutting plates are not to Spellbinders standards, and you can't use your old ones. They just copied the competition ! Cheep garbage plates so you will have to. Replace them. I can't stress how dissappointed I am. I love it!!! What a well made machine. Spellbinders went all out. This machine is rock solid. Easy to turn, cuts like a butter knife. You"done good" spellbinders. Thanks. I can use my steel rule dies again. Wonderful!!! The only thingood that I'm dissatisfied with is the plates. I've only had my machine a few weeks and one of my cutting plates is already warped. I would have given this machine a 5 star instead of 4. Also it would be nice if they sold you the larger cutting plates. I really like that you can cut bigger dies and/or more dies at the same time. However, I would like to see the larger plates to go on top of the base. Not sure if they are made or you sell them separately; haven't done much browsing for this item. I am interested in buying this because of the xl cutting plates that it now comes with. 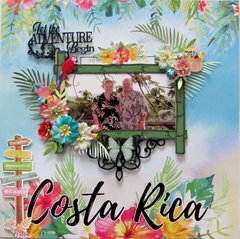 I emailed spellbinders direct. I am not wanting this machine for the standard size. I have circle dies that are 7" big and this will do the trick, as long as i have the xl cutting plates. Now since this one has standard, spellbinders said they are now making this machine with the xl plates but if I buy this with the standard they will send me xl plates. Is this somthing that scrapbook.com will do for me, change out the plates for the proper xl size instead? Thank you for contacting Spellbinders Customer Support. We are thrilled that you are considering the Platinum. We chose the standard plates to come with the machine because the majority of our dies manufactured currently are no larger than that size. We heard our customers when they asked for the larger plates so the Platinum is now manufactured with the XL cutting plates included. If you purchase the machine and it has the standard cutting plates just contact us with proof of purchase and we will provide the XL cutting plates for you. 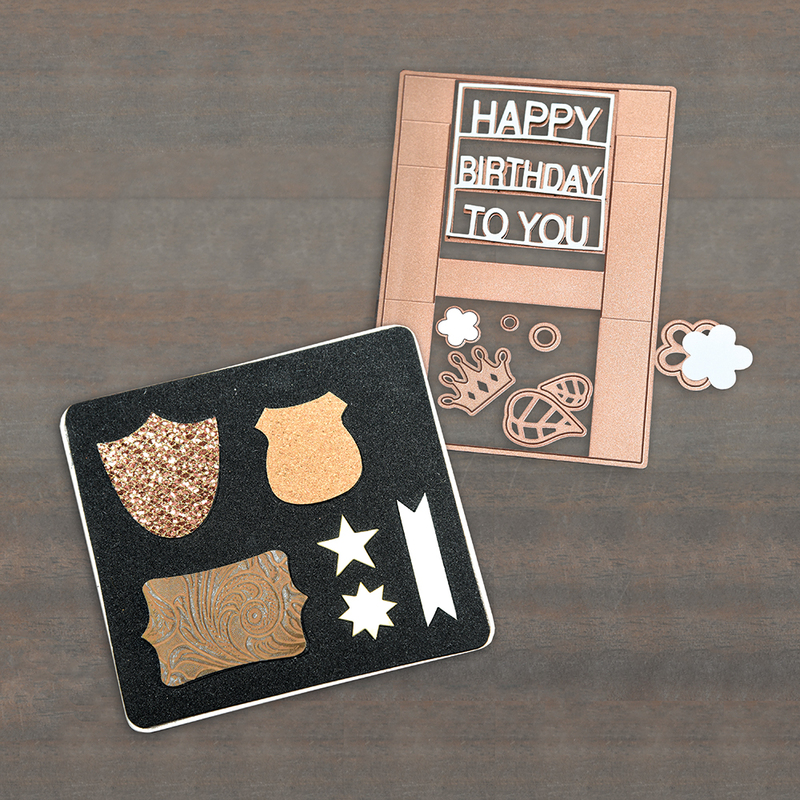 The XL embossing plate and mat are an additional purchase as we no longer manufacture or sell the Grand size dies. 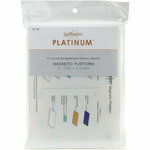 The Platinum is a good choice because of it's all metal constructions within which provides added pressure. 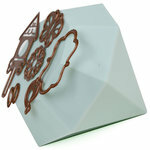 It has an 8.5" opening and will cut and emboss with thin metal etched dies, embossing folders and steel rule dies. Everything you need in one machine. Sales & Customer Support Manager By: danesnpits (30-Dec-16) Helpful Question? Yes | No Thank you! Report Inappropriate This question has been reported. Thank you! Thanks so much for the reply! 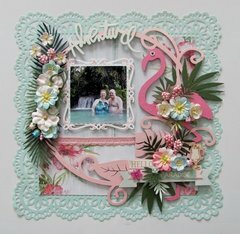 Would Scrapbook.com be starting to phase out of the kit machines that have only the standard sized cutting plates, to eventually selling kits that have the xl size plates? By: danesnpits (30-Dec-16) Helpful Answer? Yes | No Thank you! Report Inappropriate This Answer has been reported. Thank you! It would depend on how the manufacturer. They determine what they package with the machines. :) By: Joanie R (30-Dec-16) Helpful Answer? Yes | No Thank you! Report Inappropriate This Answer has been reported. Thank you! 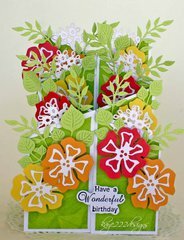 I am considering purchasing a die cut/embossing machine. I would like to purchase the most versatile, easy use, with the largest platform. I prefer a motorized version. Can you help me? By: User (10-Apr-17) Helpful Question? Yes | No Thank you! Report Inappropriate This question has been reported. Thank you! Hi, I do not have a motorized die cutting machine. I was concerned that the thickness of the item I would be die cutting may not go through the machine. I would check to make sure the motor is large enough to accommodate any thickness (within reason). I just love the large Platinum die cutting machine I have. It is manually operated. Sara By: Joiseygirl3 (13-Apr-17) Helpful Answer? Yes | No Thank you! Report Inappropriate This Answer has been reported. Thank you! I had a motorized version not this type I did like it but it is not as big as the one I have now. I really like my new one because you can do a lot more with this one because the platinum is bigger and can do a lot more types of materials. I think you will really like it. By: murk (13-Apr-17) Helpful Answer? Yes | No Thank you! Report Inappropriate This Answer has been reported. Thank you! When is the electric feature to be added to the platinum as they advertised in the beginning? Maxine T By: Maxine T (07-Jul-16) Helpful Question? Yes | No Thank you! Report Inappropriate This question has been reported. Thank you! So it is coming By: Janna L (10-Jul-16) Helpful Answer? Yes | No Thank you! Report Inappropriate This Answer has been reported. Thank you! I had not heard of that sorry I wasn't helpful By: jolene a (09-Jul-16) Helpful Answer? Yes | No Thank you! Report Inappropriate This Answer has been reported. Thank you! 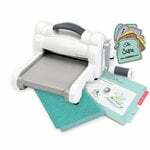 I own the Sizzix Big, and have been learning the hard way that the machine requires so many different cutting mats, crease mats, extension mats......... for every different kind of die. Is this machine going to take me to the bank with all the unlisted "needed" accessory mats?? By: dianaricker (04-Aug-16) Helpful Question? Yes | No Thank you! Report Inappropriate This question has been reported. Thank you! Yes, it will take you to the bank as you are still required to purchase separately certain mats, plates etc. Let's be honest and say it as it is, have you yet met the manufacturer that provides everything is needed for you to fully enjoy a craft tool? They all have their own marketing scheme to further create the need to continue purchasing parts related to that specific tool until you finally have everything you need to fully enjoy your new "toy". 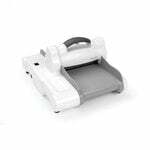 If you have already purchased everything you need for your sizzix machine, just stick to it. By: SandieGeek (19-Apr-17) Helpful Answer? Yes | No Thank you! Report Inappropriate This Answer has been reported. Thank you! Anyone know if the machine is now being sold with the 8.5x11 cutting pads and such? Rumor had it this was supposed to happen........ By: GwynnAsbury (29-Jul-16) Helpful Question? Yes | No Thank you! Report Inappropriate This question has been reported. Thank you! This machine comes with 6.1" x 8.7" cutting plates. By: Amber Boren (29-Jul-16) Helpful Answer? Yes | No Thank you! Report Inappropriate This Answer has been reported. Thank you! 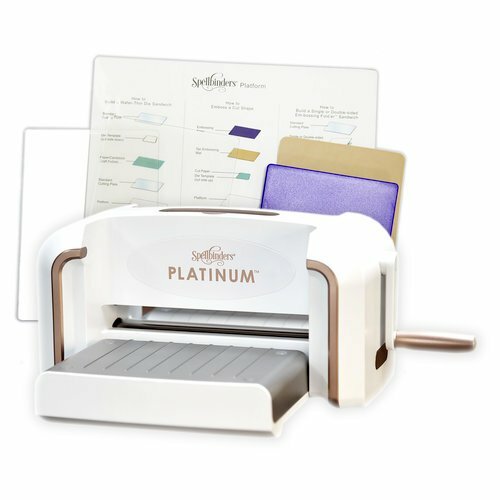 According to Spellbinders if your Platinum came/comes with the standard cutting plates, if you contact them with proof of purchase they will send you the XL cutting plates only. The XL embossing plate and mat are an additional purchase as Spellbinders no longer manufactures or sells the Grand size dies. By: SandieGeek (19-Apr-17) Helpful Answer? Yes | No Thank you! Report Inappropriate This Answer has been reported. Thank you! I haven't used mine yet but it seems very sturdy. After reading the comments, though, I'm unsure if it is a standard or xl (not that I really understand the advantage of that yet either). On the box: Spellbinders Platinum 6, which I'm guessing is 6" and one post mentions 7" and another 8.5", and I'm assuming that it means it's standard. I'm a little confused. It doesn't even make sense to me how you can put something through which is larger than the space allocated. By: injustamin (01-Apr-17) Helpful Question? Yes | No Thank you! Report Inappropriate This question has been reported. Thank you! There are two types of Spellbinders Platinum: Platinum 6 and Platinum. 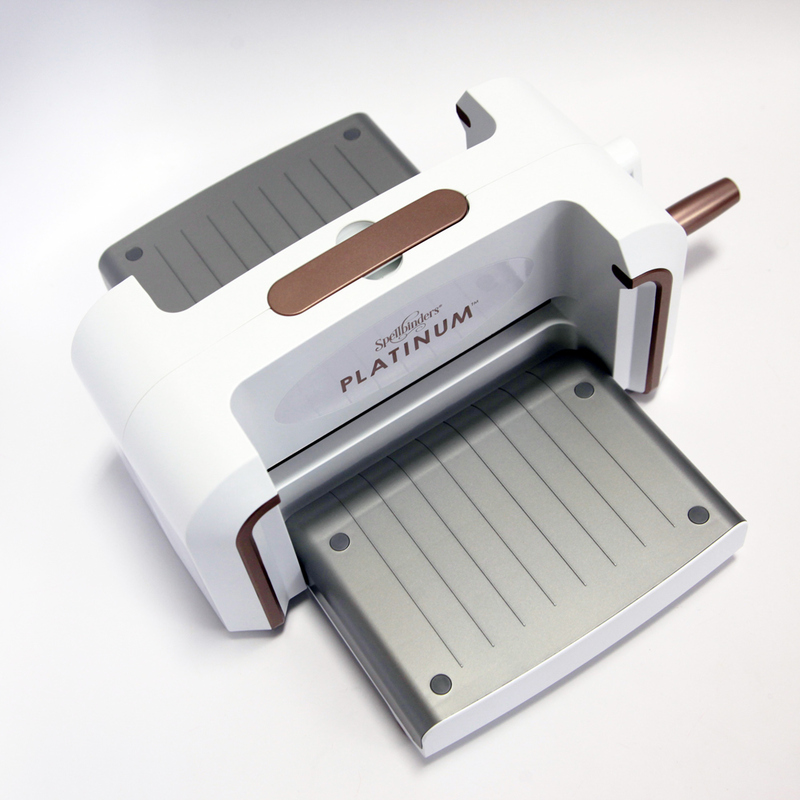 - The Platinum 6 has an opening width of 6", which means that you can only fit dies up to 6". The cutting plates are approximately 6" x 8.5". This is the standard size. 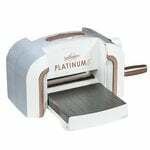 - The Platinum has an 8.5" opening width and the cutting plates are approximately 8.5" x 12". This is the XL size. Hope this answers your question. By: SandieGeek (19-Apr-17) Helpful Answer? Yes | No Thank you! Report Inappropriate This Answer has been reported. Thank you! I am a new owner of a soellbinder platinum machine. I would like to emboss card stock in between an embossing folder . Me ) , is this all normal ? By: User (25-Jul-16) Helpful Question? Yes | No Thank you! Report Inappropriate This question has been reported. Thank you! hello! You use the base ( platform) then embossing folder with paper inside you want to emboss, the you need the 3D embossing plate.. you have to purchae it separately. :) Scrapdiva29- On Youtube :) Hope this makes since? By: Scrapdivatwentynine (26-Jul-16) Helpful Answer? Yes | No Thank you! Report Inappropriate This Answer has been reported. Thank you! I saw where the platinum die cutter used contour dies. I was wondering if I could use the shapeabilites dies with this machine also or not. By: User (11-Jul-16) Helpful Question? Yes | No Thank you! Report Inappropriate This question has been reported. Thank you! I agree. I have yet to find any dies that will not work. I love the machine! By: lmacdavis (14-Jul-16) Helpful Answer? Yes | No Thank you! Report Inappropriate This Answer has been reported. Thank you! I have the machine and love, love it. 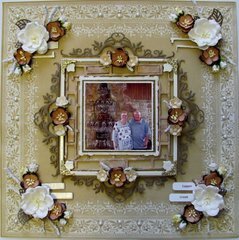 I have not found any dies that it will not cut including the Sizzix big dies. 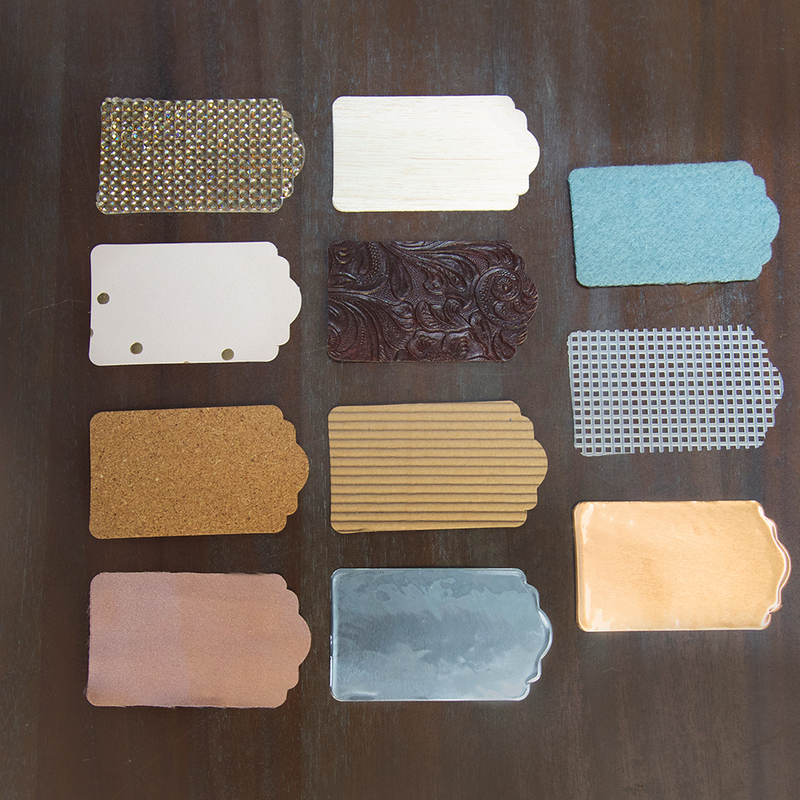 It will also emboss any of the folders including the next generation ones. I had a Cuttlebug before but wanted one that would take the larger embossing folders and this does with no problem. By: sabbaskets (13-Jul-16) Helpful Answer? Yes | No Thank you! Report Inappropriate This Answer has been reported. Thank you!